European School Radio(ESR) in ENGLISH – ΕΠΙΣΤΗΜΟΝΙΚΗ ΕΤΑΙΡΙΑ "ΔΙΑΘΕΜΑΤΙΚΟ, ΔΙΑΠΟΛΙΤΙΣΜΙΚΟ ΡΑΔΙΟΦΩΝΟ ΤΗΣ ΕΚΠΑΙΔΕΥΤΙΚΗΣ ΚΟΙΝΟΤΗΤΑΣ"
The European School Radio (ESR) (http://esradiosociety.eu) is a non profit civil scientific society that supports, fosters and promotes the Web Radio European School Radio to the primary and secondary education community in Greece and Europe (http://europeanschoolradio.eu ). The web application is available to all schools around Europe for radio production. Each teacher can register, enroll their school and create radio shows and radio messages. They can even collaborate with other schools to make a common radio show and, finally, to upload the audio file so as to be transmitted through the «European School Radio» web radio platform. 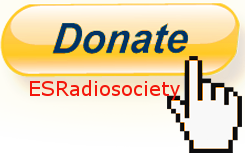 The ESR scientific society was established in November 2013 by a group of teachers who have founded the European School Radio project. It encourages and supports all events, activities and actions that promote media literacy in education. It organizes an annual festival which promotes student Radio in schools, and participates with live radio coverage in numerous events, such as ICT student conferences. The members of the society have presented the European School Radio project to educators and the general public and have been organizing workshops for teachers of public and private schools, from nurseries to senior high and vocational schools. They also take part in conferences and seminars with presentations and posters. The ESR society has strategic partnerships with public organizations such as the Educational Radio and Television department of the Greek Ministry of Education (http://edutv.gr), institutions such as universities (http://www.jour.auth.gr/, http://www.it.teithe.gr/) and professional associations such as the Journalists Association (http://esiemth.gr). The ESR society has managed to organize a radio network of hundreds of schools and student radio groups and the continuous 24/7 broadcast of a vibrant and lively radio program. The European School Radio has been growing since 2010 that was created and it is the only large scale student web-radio in Greece and one of the few in Europe. Our ambition is to transform into a European web-radio network that will include as many schools from all over Europe as possible.